PLANET ALPHA is a side-scrolling platform adventure game developed by PLANET ALPHA GAME STUDIO and published by Team17. You have awoken on a strange alien world. Injured and alone you must use your unique gift, the ability to manipulate the time of day, to survive. Can you solve the mystery of PLANET ALPHA? Power over night and day – As you progress you’ll discover a unique gift, you can manipulate the time of day and use it to your advantage. PLANET ALPHA is available on Steam, Xbox One, PlayStation 4 and Nintendo Switch! To celebrate PLANET ALPHA’s launch, we’re giving all console players who buy the game a 15% discount for a limited time. Players on Steam that purchase the game will instead get themselves a free copy of Worms Armageddon! As part of the launch day celebration, we’ll be doing a special stream of PLANET ALPHA! Join us live at 5pm BST as we show off the first hour of the game, answer viewer questions and try to avoid being destroyed by laser wielding, killer robots. We’ll see you on the official Team17 Mixer channel! 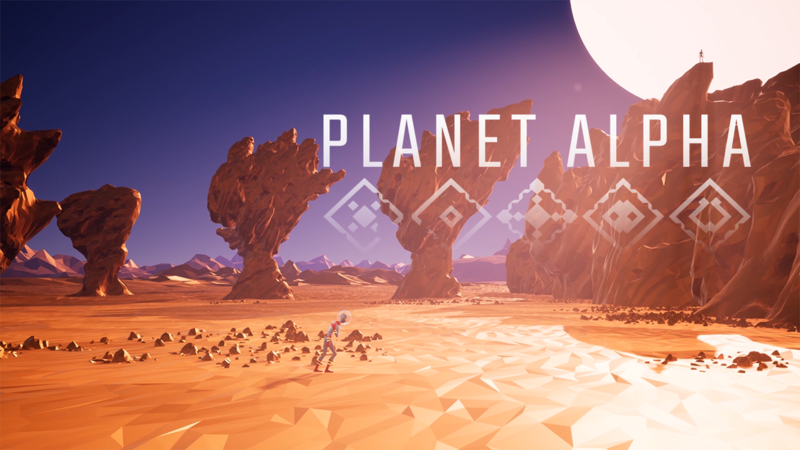 Keep up to date with all things PLANET ALPHA by following us on Twitter and liking us on Facebook!